We pulled the sofas out to clean underneath. I won’t show you that photo (blech!) 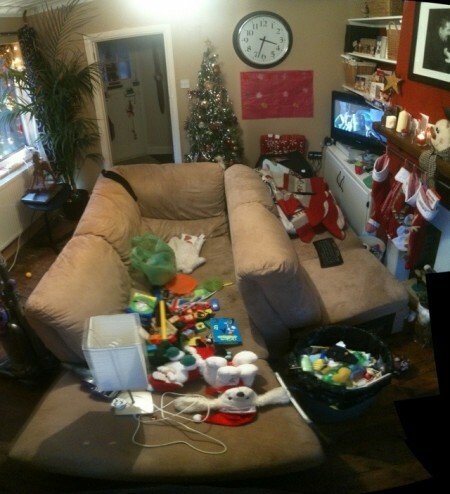 but this shows the chaos that was the living room during this deep clean.